Can’t remember how many beers you have had? then you may need one of these fun bottle openers. Sometimes it’s hard to keep track off a night on the beers, especially when it comes to how much you’ve had to drink. Some of the lads are always keen to over inflate their boozing prowess, whilst the rest of us simply suffer a bit of blank. Let there never be contention again. The Beer Tracker never lies – each time a beer is cracked it is counted on the neat digital display. Keep track as the night progresses, then, if you can find it in the morning, uncover the grand total of your exploits. Ideal for world record attempts. Happy drinking! 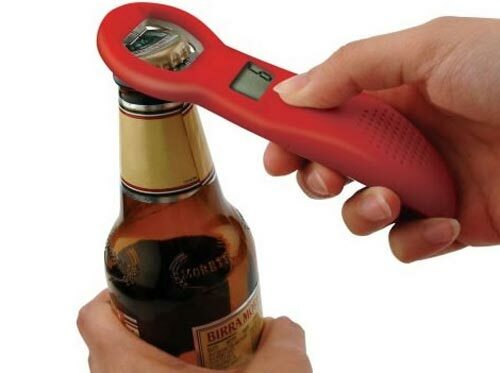 The Beer Tracker bottle opener is available to buy online from gadgets.dk for about $10.